Clear payment of Deposit £50 (non refundable), must be made first to secure any booking dates. Strictly NO smoking allowed in this caravan. A £50 damage bond is also required which will be refundable via bank transfer upon check out and key return once checks have been satisfied. Please Note; A £50 pw is a non-refundable deposit required first upon booking to confirm and secure your booking dates, the remaining balance and £50 damage bond due is to be paid with cleared payment 6 weeks before your holiday start date. Full balance due upon booking for breaks within 6 weeks of the start of your holiday. We reserve the right to re-hire the caravan if the full remaining balance including damage bond is not paid in full by the due date. And full deposit will be lost. Welcome to our holiday home. A prestige grade caravan with fully wrapped and gated balcony partially overlooking the lake with a nice view, have a relaxing time watching the swans and ducks, our luxury caravan is sited in a lovely quiet cul-de-sac one way in spot on Lakefield around a 5 minute walk from the main complex which has an abundance of facilities on this beautiful haven park at Haggerston castle. Fully central heated, double glazed, open planned living room TV and DVD in the front main living area. There is also Freeview / DVD in each of the 3 bedrooms, a fully equipped kitchen; we also include an iron, ironing board, Hoover. CHECK AVAILABILITY CHART - we have set our rates for the 2019 season some may be subject to change, please contact to confirm. 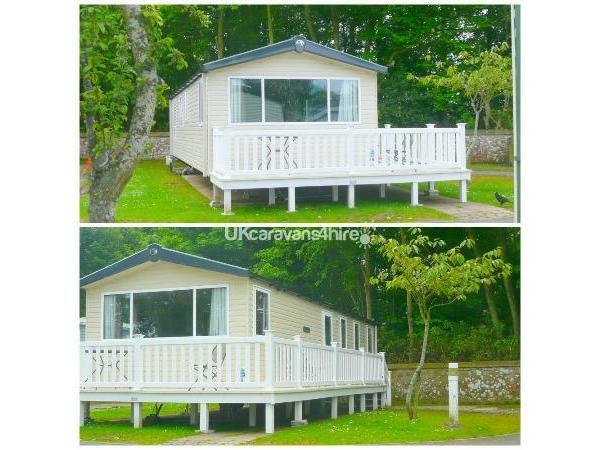 Location; Haggerston Castle, is a beautiful Haven holiday park, situated next to the beautiful Northumberland coast just off the main A1 approx 60 mile north of Newcastle and approx 60 mile south of Edinburgh. A £50 damage bond is also required with full payment which will be refundable upon check out and key return once checks have been satisfied. The remaining balance and damage bond is to be paid with cleared payment 6 weeks before your holiday start date. For late offers (under 6 weeks) the full amount and £50 damage bond will be due upon booking. Had a fabulous time. Caravan spotless. Great location on the park. Will definitely return again. We are just back from a fabulous holiday in this caravan. 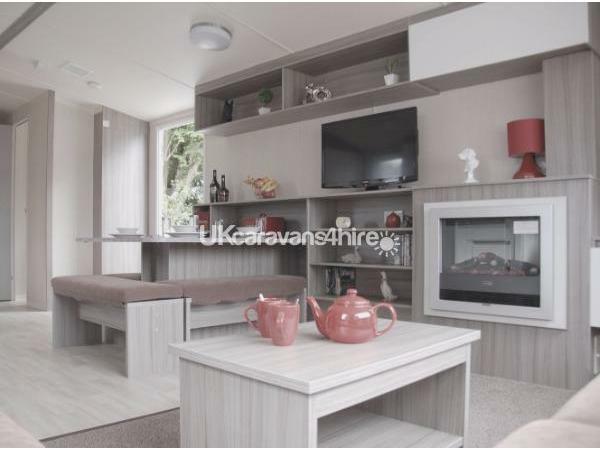 The caravan has everything you will need for your stay, from tv’s in each room to a very generous living space. Plenty glasses, pots/pans, crockery etc so eating in not a problem either. 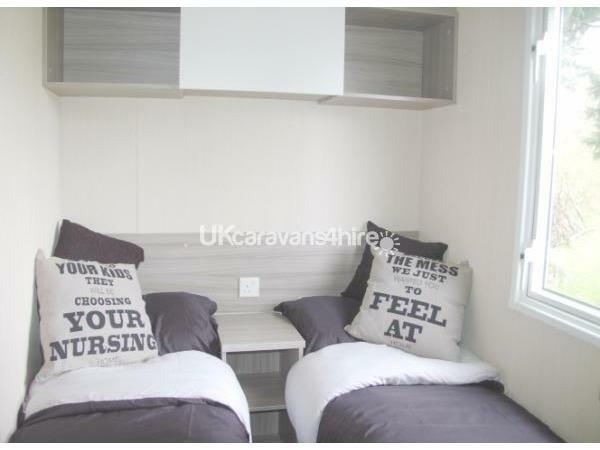 The caravan was spotless when we arrived and we were really pleased we chose this caravan for our holiday. Norma was very easy to deal with and responds to enquiries very quickly. We will definitely look to rebook if we are to come back to Haggerston Castle. Fantastic,peaceful happy weekend. Myself and my daughters really enjoyed the immaculately presented caravan which had everything we needed to enjoy our time. The girls particularly enjoyed having a tv in each of their rooms. The booking process was easy and my deposit returned the same day we left. Thank you so much Norma for a wonderful weekend. 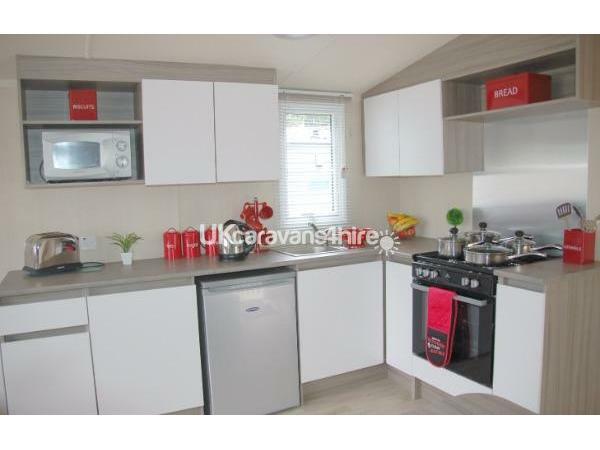 The caravan is immaculate, is in a very quiet location yet only a 10 minute stroll to the main centre. Inside, there was everything you could possibly need for your stay, my kids particularly loved a TV in each of their bedrooms! The instructions given by the owner during the booking process were simple, clear and easy to follow, then when we arrived, the caravan was spotlessly clean - all of which got our holiday off to the best possible start! We have stayed at many different caravans at Haggerston and my children's opinion was that this caravan was definitely the nicest; I completely agree with them. Dealing with Norma was an absolute pleasure; such a nice and helpful lady. I have no hesitation in recommending this caravan (unless of course you're trying to book for the same time as us, as we saw it first!!!). Thanks Norma for letting us stay in your caravan.